“The time is right for a new chapter of collaboration between the research and scientific community and the sustainable agriculture advocacy practitioners,” said Patrick Holden, chief executive of the Sustainable Food Trust (SFT). “These individuals and organisations, including myself, have been in part responsible for creating an impression that our advocacy is based on ideology and that we are resistant to making evidence-based decisions, which is certainly not the case today,” added Holden, former head of the Soil Association. 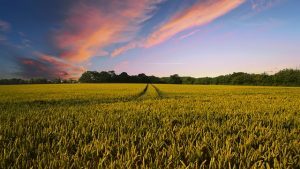 His proposal, published today by Rothamsted Research, which suggested the idea, follows a conference organised by the SFT earlier this month in Wales, “Harmony in Food and Farming”. Prince Charles provided the event’s keynote address, promoting greater awareness of nature’s universal “connectedness” and reflecting on his own book, Harmony, A New Way of Looking at the World. The proposal also comes in the wake of the environment secretary’s announcement that future farm subsidies in the UK would be linked to environmental stewardship. “Support can only be argued for…if the environmental benefits of that spending are clear,” said Michael Gove. The response is welcomed by Angela Karp, Rothamsted’s Director for Science Innovation, Engagement & Partnerships, who came up with the idea after attending the harmony conference: “Our new five-year strategy promotes engagement and a commitment to productive and sustainable agriculture that protects the environment and benefits farmers and communities worldwide. For a report on the conference, go to “Open minds open doors”.